Even though the economy created 200,000 new jobs in January, that doesn't guarantee that job seekers will be able to land one of them. People in search of a job still have to apply and then go through the job interview process before being offered a position. Since employers are mindful of the high costs of hiring the wrong person, the job interview is more thorough than it once was. One of the most important things to do in a job interview is to show confidence, according to Toastmasters International, an organization that trains public speakers. Toastmasters suggests job applicants spend time researching the company they are interviewing with and practicing answers for anticipated questions. Toastmasters member and career coach Jennifer Blanck advises job applicants to be relaxed during the job interview and, above all, just be themselves. "If you're not being authentic, you won't know if you're the right fit," Blanck said. "Remember, it's just as important for you to decide whether you fit in as it is for your potential employer to decide. If the interviewer is uncomfortable with the real you, then it's a good indication that you should keep looking." Blanck says it's also important to make a good first impression. Arrive for the interview early, dress appropriately, turn off your cell phone, stay focused on the interview, and actively listen to the interviewer. At some point, the interviewer may bring up salary. This is where some jobseekers become a deer in the headlights. If the offered compensation falls short of expectations, is it appropriate to negotiate? Many career counselors suggest waiting until a firm offer is extended before broaching that issue. 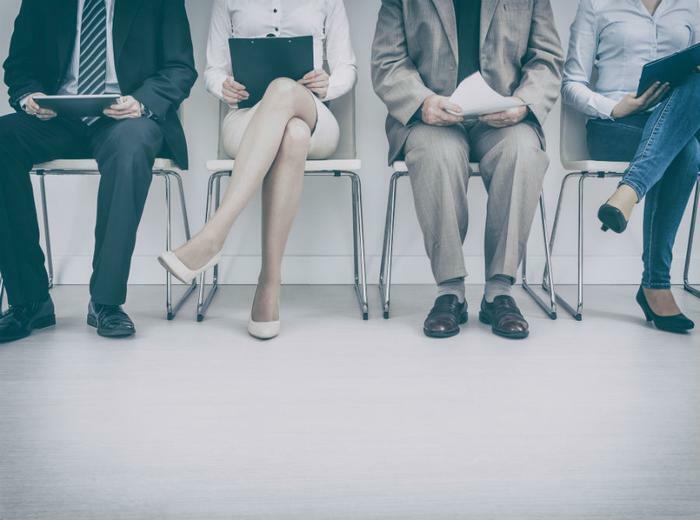 Paul McDonald, senior executive director at staffing firm Robert Half, says employers are bringing up salary expectations earlier in interviews to streamline the hiring process. If that happens, a job applicant must be ready to respond. But McDonald advises caution. "First and foremost, avoid negotiating any part of the compensation package until after you've received a formal offer," he said. "Second, don't go into a negotiation without practicing the conversation in person with a trusted friend or mentor. Someone who has been in your position can help you prepare for the unexpected and make a stronger case." How do you know if the salary offer is fair? McDonald says two things should guide it -- the skill levels required to do the job and the competition for people with those skills. Researching market conditions and finding out what others in similar positions are paid will help you negotiate from a position of strength.